The Panhandle Water Planning Group (PWPG) was formed and charged with preparing the regional long-range plan for the Panhandle. The Planning Commission is proud to have been selected by the Panhandle Water Planning Group as the Designated Political Subdivision for the planning efforts and have also been selected to assist in the process by conducting the primary Public Information efforts. Local Government Services (LGS) staff assists the PWPG in managing historical records, fiscal activities, contractor and sub-contractor work, meeting notifications, and the maintenance of the group’s website. The PWPG adopted the first Panhandle Regional Water Plan in 2001. The Regional Water Plan includes and exhaustive analysis of water availability, water user groups, and water management strategies along with legislative and conservation recommendations. The 2001 plan was one of only two in the state recommended for approval without amendment, revision, or change. The PWPG adopted a comprehensive plan update in 2006 with major revisions in the Groundwater Availability Modeling methodology and groundwater management strategies due to technological advancements and a general improvement in understanding the Ogallala Aquifer. 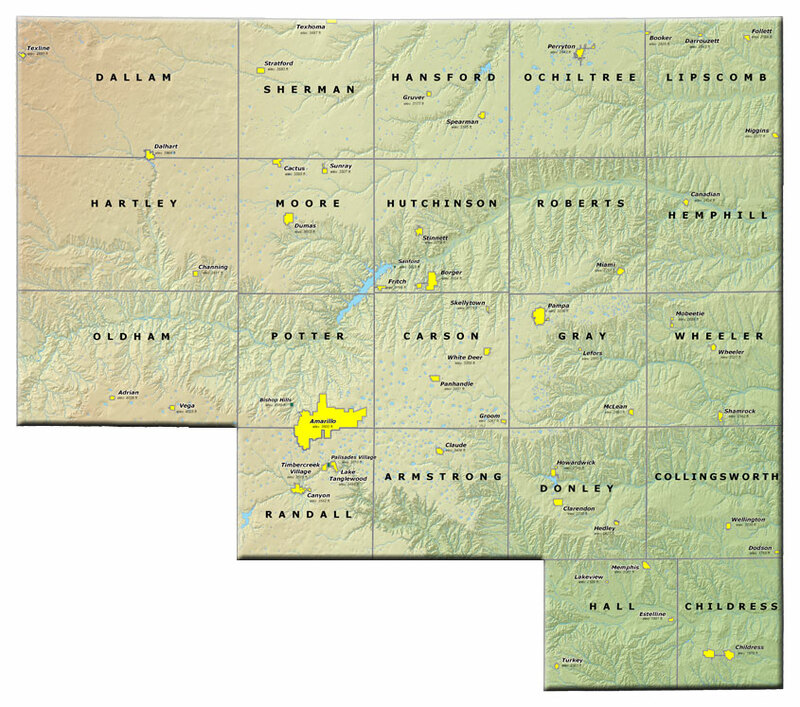 From 2007 to 2009 the PWPG worked extensively on an Ogallala Recharge Study to identify how quickly the Ogallala Aquifer is recharging in the Eastern Panhandle. Unfortunately, the results of this study depict only a .25 to .33 inch recharge rate in most soil types in the region. While these results are somewhat disappointing, they will be highly valuable in future water planning. The 2011 Regional Water Plan was adopted in 2010 and incorporated into the State Water Plan in 2012. The 2011 edition focused on refining agriculture demands and narrowing down water availability to smaller geographic locations. Currently, the PWPG is in development of the 2016 Plan. This Plan will have a heavy focus on drought and municipal demand. Groundwater availability is being refined based on Desired Future Conditions. If you would like to be added to an interested parties list to receive direct notification of upcoming meetings please see contact information to the right.